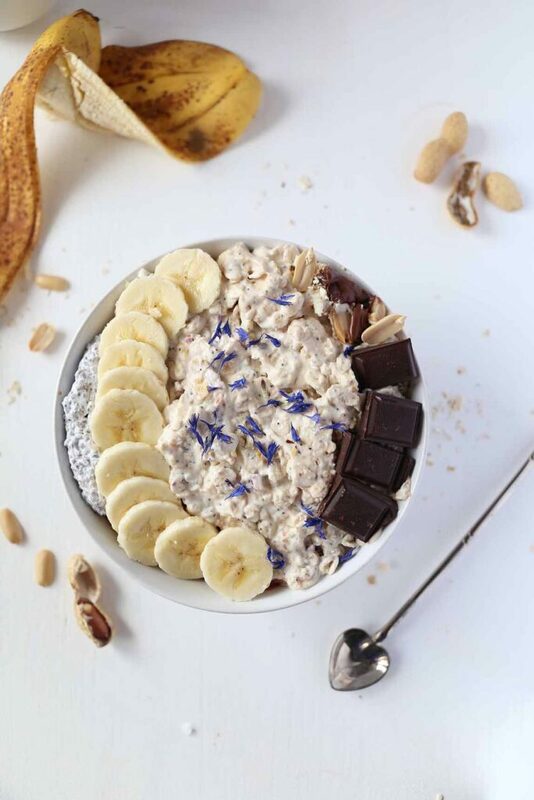 An oatmeal bowl that tastes exactly like a vanilla cake just without the nasties and instead packed with healthy proteins from nuts- fuel your morning with this healthy dish and never worry about your proteins anymore. This is how my Vegan gluten-free, Protein packed Vanilla Oatmeal came to live. With everyone warning me about the side effect of a plant-based diet I set my goal on incorporating natural proteins already in the morning. 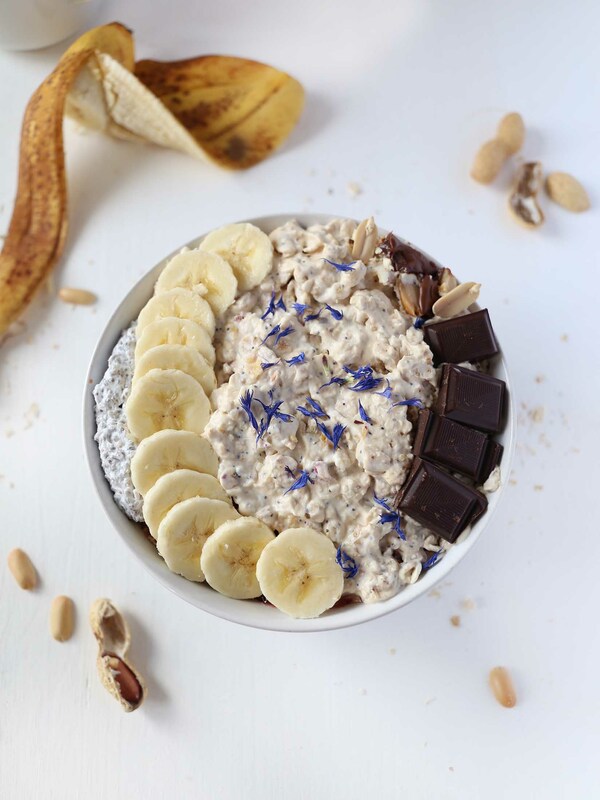 This morning, I set out on a mission to create a higher protein oatmeal that could easily be done in 20 minutes or packed for breakfast on the go. The Oatmeal has a very thick and creamy texture due to the coconut flour and reminds me of vanilla batter I used to eat as a kid. Notice that I added vanilla protein powder in my recipe below. I use the one that I ordered from Foodspring since I really like the natural vanilla taste. If you are uncomfortable with protein powder simply substitute with 1 tbsp of coconut flour or leave it out completely. It will still taste amazing. Combine oats, milk, and vanilla in a saucepan and cook until most of the liquid is absorbed. Reduce heat and whisk in the chia seeds and whisk until fluffy. (Chia seeds might take up to 2 minutes until fully swollen up. In a bowl covered with foil leave in the fridge for one hour before adding your toppings and starting to eat. What better way to start the day than with a dish that’s warming nutritious and pretty in colors? This simple amaranth and millet blueberry porridge will keep you full for hours. I actually don’t know why people would think that making crepes or pancakes are more time consuming than any other breakfast. Since I have my new blender from Schwingerprinz, I started making the pancake mixture in there and it takes me less than 10 minutes to blend the ingredients and bake the crepes?